As you all know, singer/actress Alicia Keys stop wearing make-up. She debuted her new make-up free life when she attended the 2016 VMAs without a single drop of make-up. Ah, she's amazing. 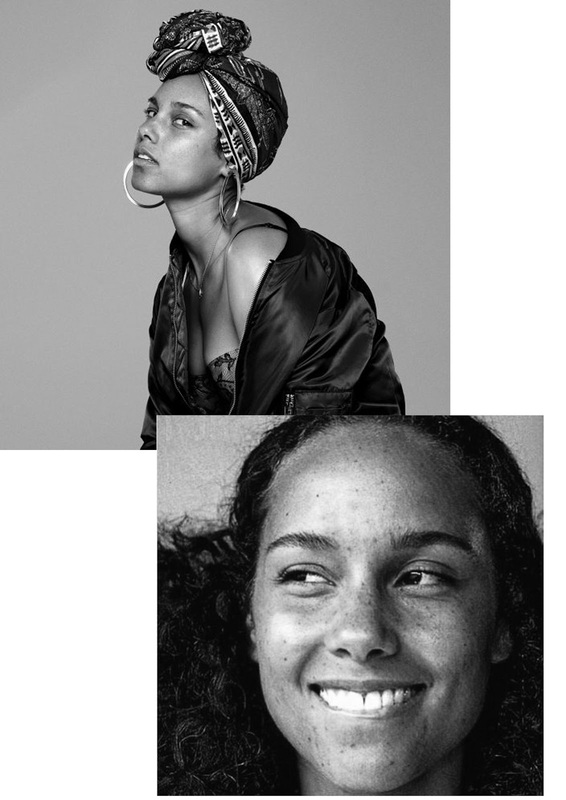 Alicia said in an interview that the reason why she stopped wearing make-up was because she felt like she was losing herself in the fame and it altered her perception of beauty. I completely agree with her, it is no news that women who are constantly in the public eye have this stigma to be "perfect" and it's absolutely ridiculous. These women are being criticised day after day on how they look, how they act, what they wear, who they wear; the list can go on! It's a constant battle of fighting society's definition of beauty. Why can't the world just let them be? Alicia Keys finally took a stand against beauty standards and is an inspiration to all women. Especially me. When i first saw her VMA candids - okay this might be weird but - i was PROUD. She's so beautiful without make-up. We all know how much of a 'big deal' these social events are and how celebrities spend HOURS to look perfect, so naturally i was impressed at her taking a stand and making such a bold & empowering statement. She's truly incredible. I SUPPORT YOU ALICIA, DO YOUR THAANG GIRL. PS, i know some of you will probably read this and think "it's not that big of a deal, it's only make up" and yes, i agree but the reason it's a 'big deal' is because Alicia is a celebrity who took a stand against society's beauty stereotypes. That isn't common so yes, i think it's a big deal. I'm not saying she's the only women in the world who doesn't wear make-up but she's the only women who didn't wear make-up to an Award Show, and that says something.